Dr. Robert Butler, who died in 2010, is recognized around the world as the first to coin the term “ageism.” Butler worked throughout his life to help the elderly and fight against ageism (a complete biography can be read here). In 1967 Butler published a Pulitzer-winning novel entitled Why Survive? Being Old in America. Since Butler coined the term, the word ageism, or age discrimination, has become a more prevalent issue in America today. Ageism, most simply defined, is prejudice or discrimination based on an individual’s age. Ageism, or age discrimination, as opposed to other types of discrimination, such as gender, ethnic, religious, and racial discrimination, is unique because, except for the few who die young, all will eventually be susceptible to this type of discrimination. Because of this fact, some argue that age discrimination should not be treated similarly under the law in comparison to other kinds of discrimination. Age discrimination and laws against such age discrimination are perhaps the response to a cultural change. Butler, in his article Combatting Ageism, wrote, “In primitive societies, old age was frequently valued. Older persons often provided knowledge, experience, and institutional memory that was of adaptive – even survival – value to their societies. As the number and percentage of older persons, especially the frail and demented, increased, the perception grew that they were burdens to their families and society.” In addition, Butler has stated that this stigma of the elderly may also “derive from deeply held human concerns and fears about the vulnerability inherent in the later years of life.” Often such negative stereotypes of the elderly are transmitted through the media. Our very language, as Butler noted, often reflects negatively on the elderly, such as the phrases “dirty old man” and “greedy geezer.” The world today is full of baby boomers and the percentage of elderly in the country has continued to increase, which makes age discrimination more of an issue in America. The law often is formed around society’s values and stereotypes. Indeed, the law responded to the negative stereotypes that emerged in relation to the elderly when the Age Discrimination in Employment Act of 1967 (ADEA) was made federal law. The findings given behind the act indicate that the ADEA was meant to respond to several concerns. First, there was a concern that companies were setting arbitrary age limits and were thus excluding older individuals not based on merit, but age alone. Second, there was a general trend of higher unemployment among the elderly as opposed to the young (see ADEA Sec. 2). Although there were other reasons for the act, these are two of the most important reasons. In relation to employers, the ADEA made it unlawful for an employer to fail or refuse to hire or to discharge any individual or otherwise discriminate against any individual with response to his compensation, terms, conditions, or privileges of employment, because of such individual’s age (see 29 U.S.C. § 623). The ADEA also made it unlawful for an employer to limit, segregate, or classify their employees in any way “which would deprive or tend to deprive any individual of employment opportunities or otherwise adversely affect his status as an employee, because of such individual’s age.” Finally, the ADEA made it unlawful to reduce the wage rate of an employee based on age. Thus the ADEA made it unlawful for an employer to discharge or take action that “adversely affects” the employee’s status, because of the individual’s age. The ADEA does not apply to all employers, but only those with 20 or more employees (see the EEOC website for more details). It is also important to understand that, for the purposes of the ADEA, only age 40 or older are protected. In addition, the ADEA does not prevent what is called reverse age discrimination, or a favoring of the older employees over the younger. In Arizona the law is a little different. A.R.S. § 41-1463 uses the same basic language of the ADEA in referring to age discrimination, however there are slight differences. First, the ADEA includes a provision that does not allow an employer to avoid violating the ADEA by simply reducing the wage of the employee. Arizona law has no such provision. In addition, A.R.S. 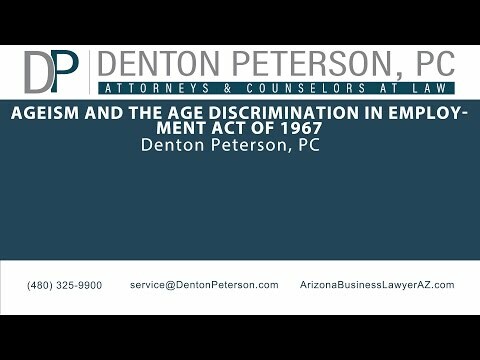 § 41-1463(A) adds that Arizona’s age discrimination law does not require that less qualified individuals be preferred in hiring over the better qualified because of a protected category (such as race, religion, etc.) 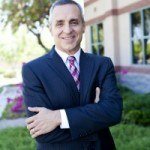 Thus it appears that Arizona’s law would be slightly more favorable to employers in comparison to the ADEA. One major difference in Arizona’s age discrimination law to the ADEA is in the reach of the law. A.R.S. § 41-1461 defines an employer under this act as a person who has fifteen or more employees for each working day in each of the twenty or more calendar weeks in the current or preceding year. This means that Arizona’s age discrimination law may apply to some small employers that the ADEA does not cover. Arizona age discrimination law, like the ADEA, only applies to those age 40 years or old. File a charge – the first step if you feel you have an age discrimination claim is to file a charge with the Equal Employment Opportunity Commission (EEOC) or the Arizona Civil Rights Division (AZCRD). Once a charge is filed, the EEOC or AZCRD have several options. The EEOC or AZCRD may ask to settle the claim through mediation. They may issue a Notice of Right to Sue “without cause” if they did not determine whether the law was violated. They may issue a Notice of Right to Sue “with cause” if they did determine that the law was violated. Finally, they may decide to dismiss the charge. A charge may be filed in person, by mail, telephone, etc. Contact your local EEOC or AZCRD office for more details. The EEOC website gives detailed information on filing charges. Don’t wait! – When filing a charge with the EEOC do not wait if you believe you have an ADEA claim. In general the deadline to file a claim is within 180 calendar days from the day the discrimination took place (see the EEOC website for more details). Although many age discrimination charges are filed against employers each year in the United States, many do not succeed. In 2015, for example, of the approximately 20,000 ADEA charges that were filed, over 13,000 were classified as “No Reasonable Cause,” meaning that the EEOC found no reasonable cause to believe discrimination occurred based on the evidence obtained during the investigation (see the EEOC’s Age Discrimination statistics here.) Individuals may often still attempt to sue in court, but it is important to know that employers have many defenses under the ADEA to an age discrimination claim. The employer may have a defense under the ADEA, for example, if the action is reasonably necessary to the normal operation of the business (see 29 U.S.C. § 623(f)). The employer has several other defenses to an age discrimination claim. Age discrimination in employment is a type of discrimination that the law protects against. Under federal law the ADEA is a law that works to prevent an employer from taking action that adversely affects the employee solely based on the employee’s age. Arizona has its own state law against age discrimination that is similar to the ADEA with minor differences, including a broader spectrum of employers to which the law is applicable. The process for filing an ADEA charge or age discrimination charge in Arizona is specific and detailed. The process of defending against an ADEA claim is equally as difficult. Because of this it is best to consult with an experienced employment law attorney. 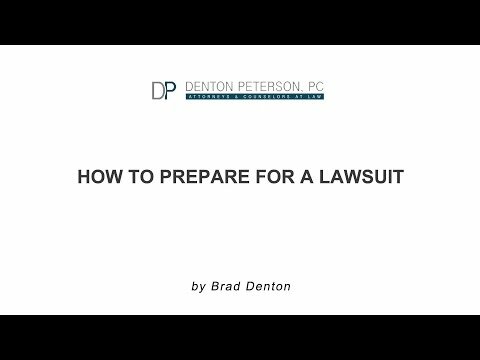 At Denton Peterson, PC, we assist individuals by evaluating whether they have information mounting to discrimination and then moving forward with the claims that have evidence supporting discrimination. We also provide advice employers how to avoid discriminating in their workplace, providing employee training, and in defending against baseless charges. Don’t hesitate to call today! 1.) Robert N. Butler, Combatting Ageism, 21 Int’l Psychogeriatrics 211, 211-212 (2009). 3.) Age Discrimination in Employment Act of 1967 (ADEA), 29 U.S.C. §§ 621-634 (2013).